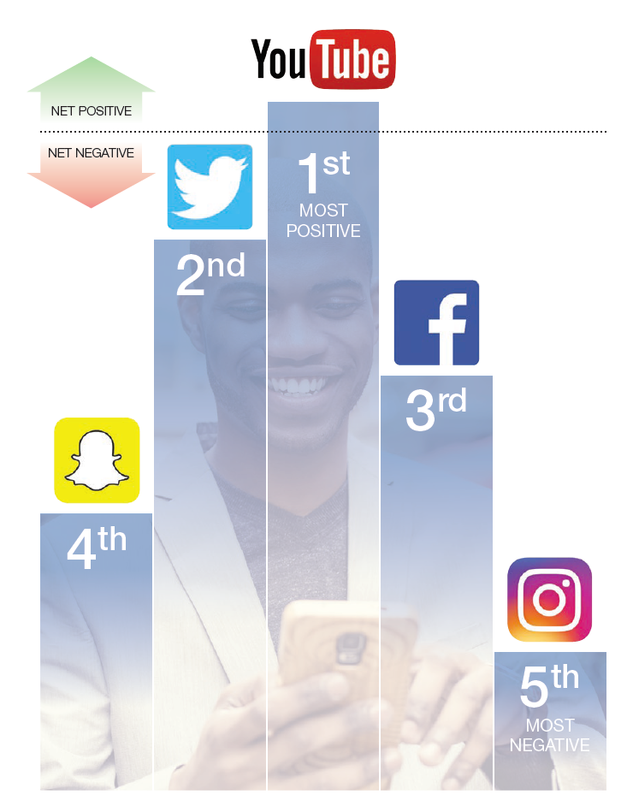 According to a 2014 study published in Computers in Human Behavior, most people aren't using social media to be social. Only about 9 percent of Facebook's users' activities involve communicating with others. Instead, most users consume random pieces of content. And researchers found that passively consuming information isn't fulfilling or satisfying. Study participants experienced a sharp decline in their moods after scrolling through Facebook. Interestingly, they didn't experience the same emotional decline when they surfed the internet. The toll on mental health was unique to Facebook. Through a series of studies, researchers concluded that by the time people log out of Facebook, they feel like they've wasted their time. Their remorse over being unproductive causes them to feel sad. The same PT blog cites a more recent (2016) paper (and actually gives a link to this one, unlike the 2014 one) which proposed a different explanation for the Facebook-induced sadness, namely friends envy, especially for users that have a more consumer/passive participation. I'm actually less interested in untangling an underlying factor (in this Skeptics question) than confirming that a sadness-inducing effect is common for Facebook users. In the realm of video games, there is a warning sign that the scientific community is involved in creating the moral panic over violent video games by selectively reporting research that fits pre-existing beliefs, publication biases (i.e. null findings are more difficult to get published than significant findings) or using small effects to derive strong conclusions on intervention (For a review, see Ferguson, 2013b). I guess this goes into the bin of controversial social psychology topics, for now. 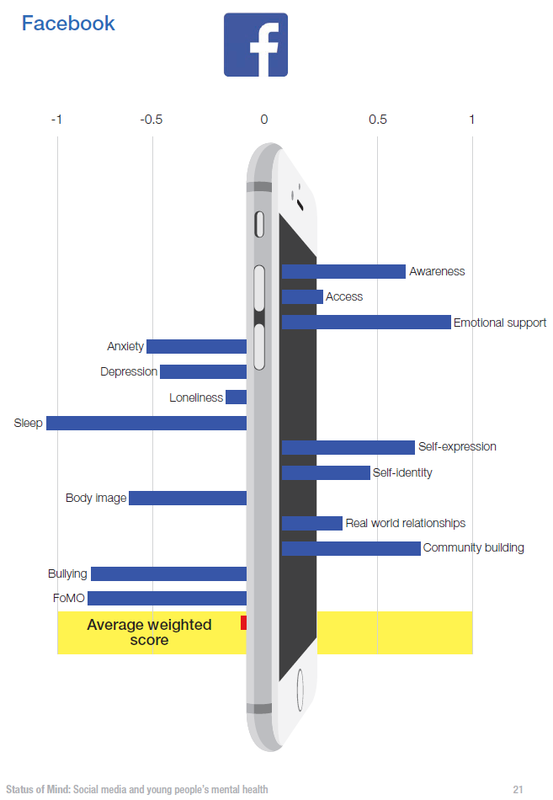 A survey of 1,500 14 to 24 year olds in the UK, published by Royal Society for Public Health (RSPH) and the Young Health Movement (YHM), found that Instagram, Snapchat and Facebook were the three worst social media platforms for having negative mental health effects on children. The report states that this might be related to depression, but there may also be links to an increase in cyberbullying, worsening sleep, and feelings of social isolation and anxiety. The non-YouTube sites actually have a pretty similar profile, with only intensity (rather than polarity) variations for depression. Only YouTube (among these sites) "undepressed" users. Alas the report lacks any actual numerical data; maybe there's an accompanying dreary academic publication reporting it, but I haven't found it. Not the answer you're looking for? Browse other questions tagged psychology facebook .